The antiserum was produced against synthesized phosphopeptide derived from human PTEN around the phosphorylation site of serine 370 (D-V-SP-D-N). 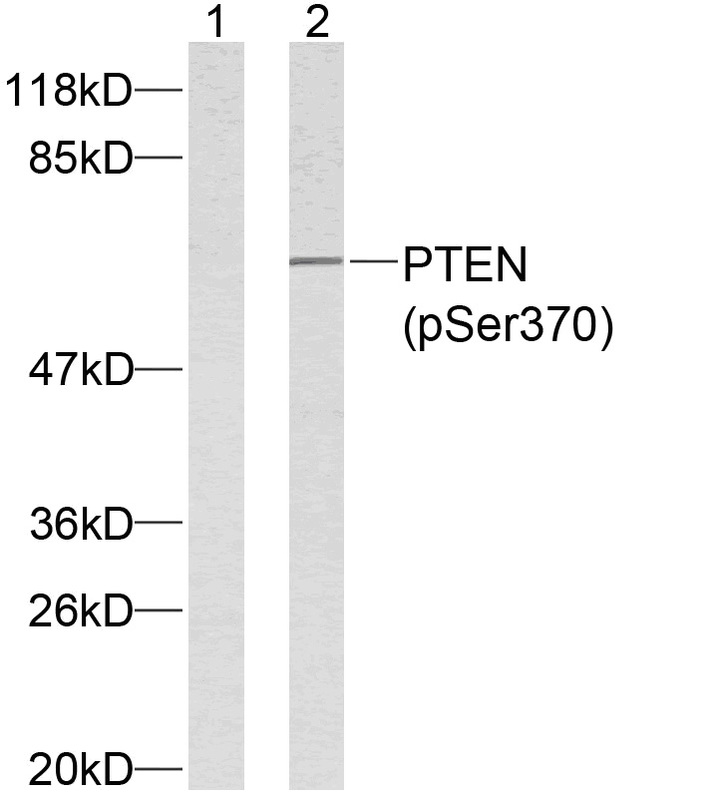 PTEN (phospho-Ser370) antibody detects endogenous levels of PTEN only when phosphorylated at serine 370. Al-Khouri AM, et al. (2005). J Biol Chem.280 (42):35195-35202. Miller SJ, et al. (2002). FEBS Lett. 528(1-3): 145-153. Torres J, et al. (2001). J Biol Chem.276 (2): 993-998. Vazquez F, et al. (2000). Mol Cell Biol.20 (14): 5010-5018. 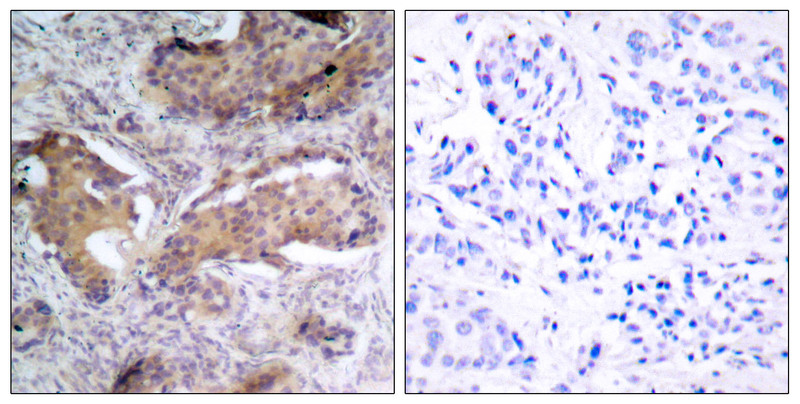 Immunohistochemical analysis of paraffin- embedded human breast carcinoma tissue using PTEN (phospho-Ser370) antibody (E011062). Western blot analysis of extracts from HeLa cells using PTEN (phospho-Ser370) antibody (E011062).